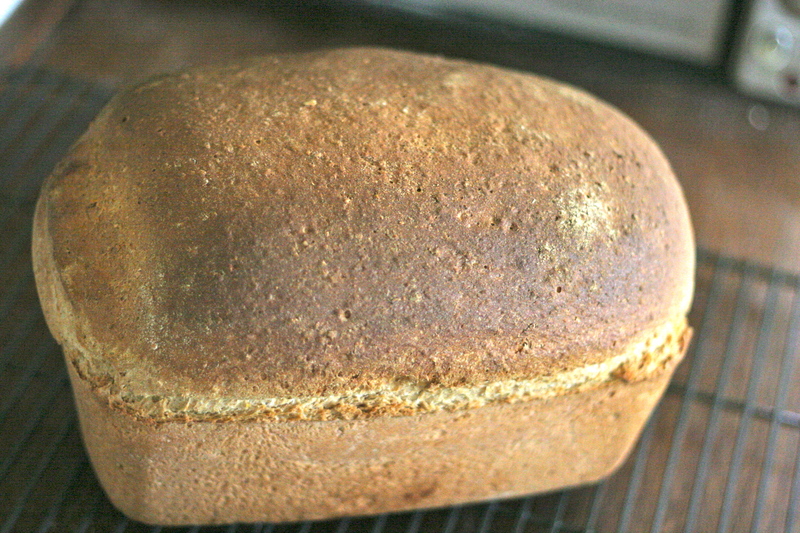 Do you love whole wheat, multigrain bread like my family does? Would you like to make a loaf so tender with such a luscious crumb that the only thing limiting your perfect slice is a well-sharpened knife? I make a version of this bread weekly. 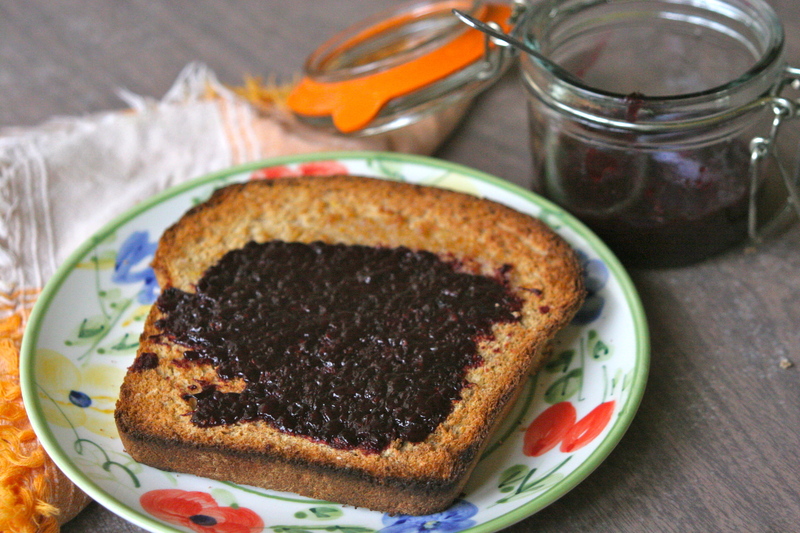 It is that delicious, plus your house takes on the heavenly smell of home-baked bread. If you ever buy Milton’s multigrain bread at the store, this is so much better and makes the most divine toast, peanut butter sandwiches, BLTAs (BLT with avocado), and even a healthy french toast. 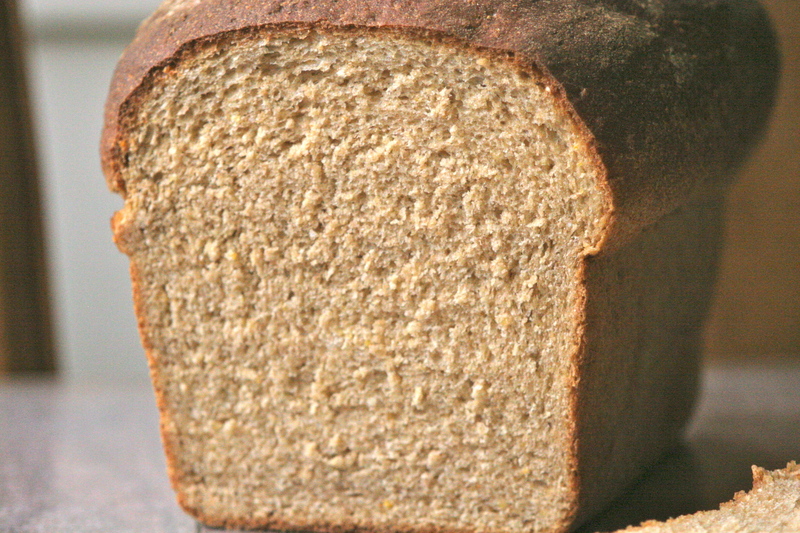 Plus, it has a many more whole grains than the aforementioned name-brand bread. It is so easy that it requires merely my checking in on it twice and then actually baking it in the oven. You could start it in the evening, allow its first or final rise overnight in the refrigerator, and bake it in the morning or you could just mix out the dough first thing in the morning and make it in the afternoon on a day that you are in an out of the house once or twice. Here are the basic steps. Mix together all of the ingredients (except for the salt) until they come together in a rough dough. Cover and let rest for half an hour. Add the salt and then mix with a dough hook for 7 or 8 minutes on medium speed (or hand knead until elastic and smooth). Let rise for an hour and a half until doubled in size. If your dough has fully proofed, a dimple formed by your finger will not slowly fill back in, but rather leave a little mark. 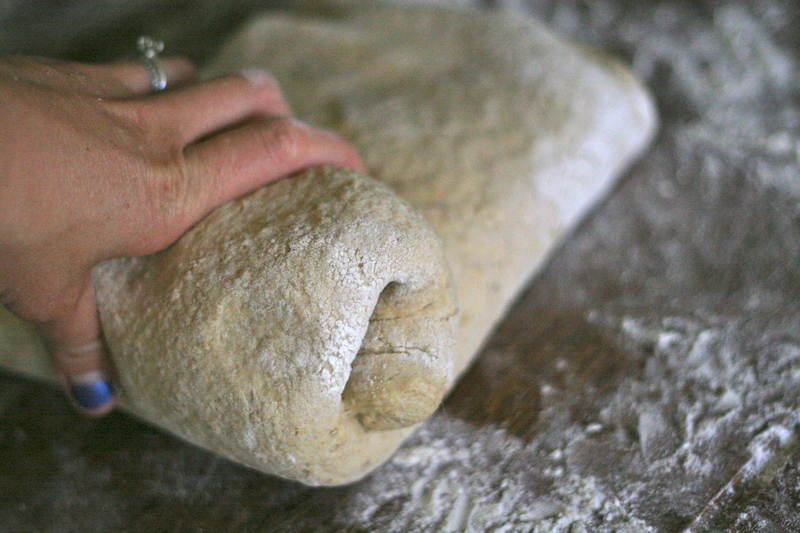 On a lightly floured surface, press out the dough into a square using your hands. Imagine the dough in thirds. You are going to fold the dough like an envelope. I pull gently on one side while folding over the first third. This prevents air pockets in the loaf. Now fold the stretched side over the top until it reaches the edge. You should have a rectangle shaped envelope, just like a paper you would send in the mail. Now you will roll the loaf into itself in a spiral, from one short end to the other, pressing down slightly as you go to push out air pockets. Pinch closed the ends and then roll the loaf back and forth gently in your hands until it looks perfectly shaped for your loaf pan. Turn your oven onto 400F degrees to preheat. Drop the loaf into a buttered (or cooking sprayed) loaf pan and let it rise for somewhere between 45 minutes and an hour and fifteen minutes. You will know that the loaf has risen when it is about 1 1/2 times its original size or just comes over the top of your loaf pan. Do not let it over-rise or you will have air pockets and breaks in the finished, cooked loaf. Cook your loaf for about 40 minutes, turning 180 degrees halfway through cooking, until a golden brown on top and such that you can knock on the top and hear a sort of hollow sound, not a thud-like sound, which indicates your loaf is still underdone. Remember to let the loaf cool on a rack immediately upon removal from the oven. If you don’t dump it out, it will continue to cook and steam the outside, which results in a nasty texture. Also, do let the loaf cool for a couple of hours because if you try to slice it fresh from the oven, it will fall apart in a crumbly mess. One final note is that you should feel free to experiment with the proportion of your favorite grains. Sometimes I use only oats and millet. Other times I add rye, barley, quinoa, and oat flakes. My favorite combination, however, is below, using one half oats and one half multigrain cereal such as Bob’s Red Mill 8 or 10 grain hot cereal. In the bowl of a standing mixer add 2 cups of warm water and 3 tablespoons molasses and stir to mix. 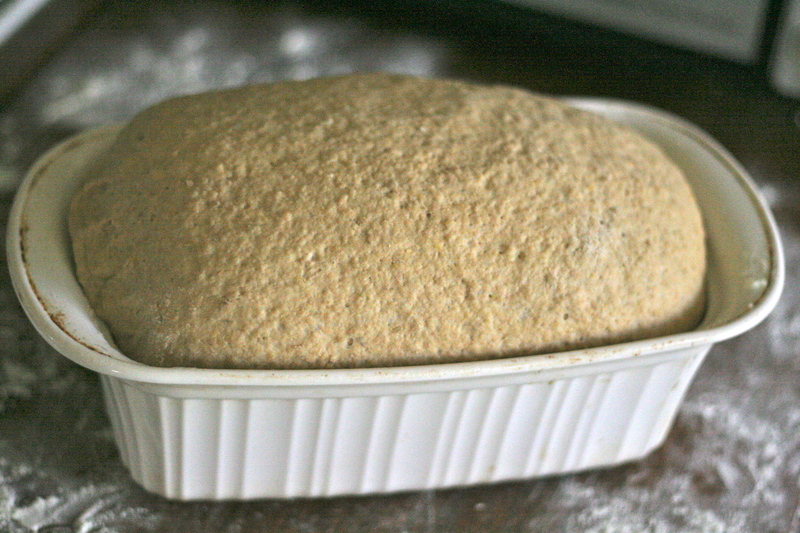 Sprinkle the yeast package over the top and let stand for 5 minutes to make sure it blooms and is active. If not, start anew with new ingredients. Add the rest of the ingredients except the kosher salt and mix with a wooden spoon to form a shaggy dough. Cover with a towel and let rest for 30 minutes. Add the kosher salt and mix with the dough hook on medium speed for about 7 or 8 minutes until the dough has a satiny, smooth, elastic look. 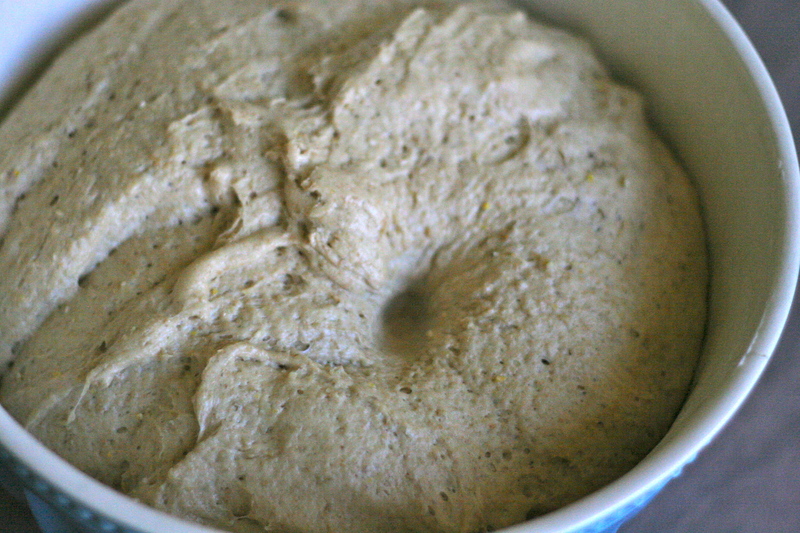 Scrape the dough into a large, well oiled or buttered mixing bowl and cover with plastic wrap or a towel for 1 hour 15 minutes to 1 hour 30 minutes, or until fully proofed (doubled in size). 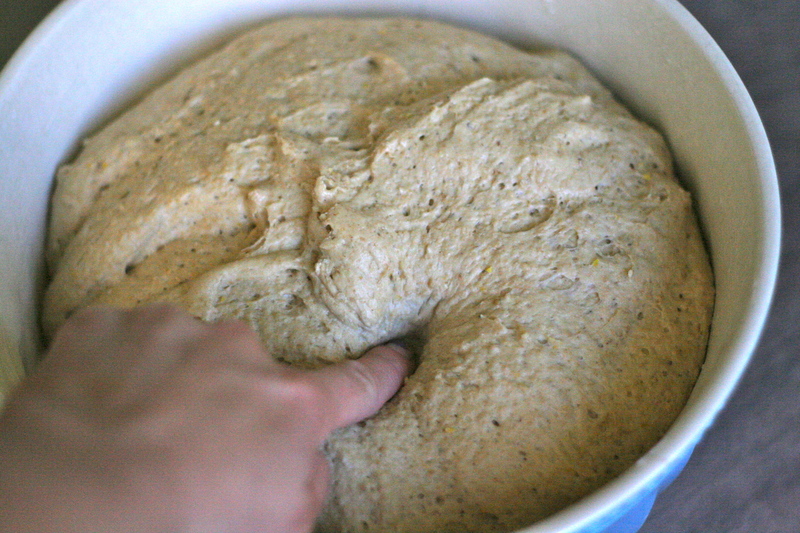 If you can poke the dough with your finger and it does not bounce back, it is ready. Shape the dough. 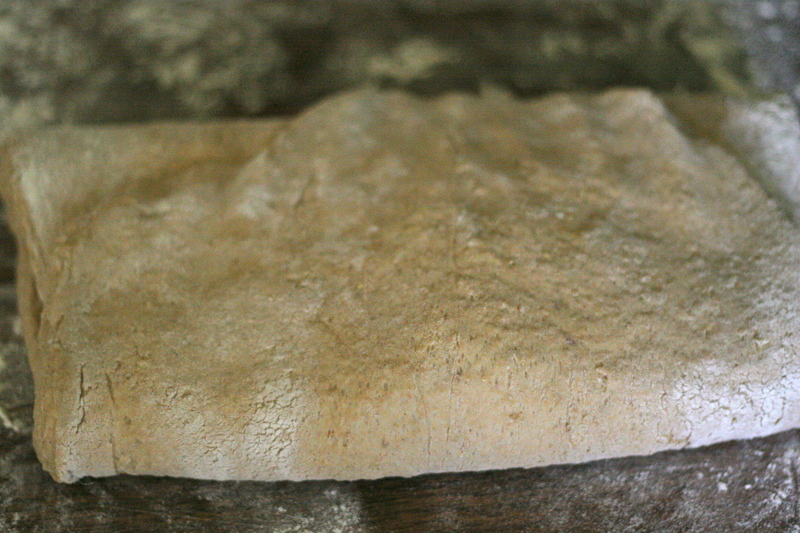 Pour out the dough onto a lightly floured surface and flatten into a square with your hands. 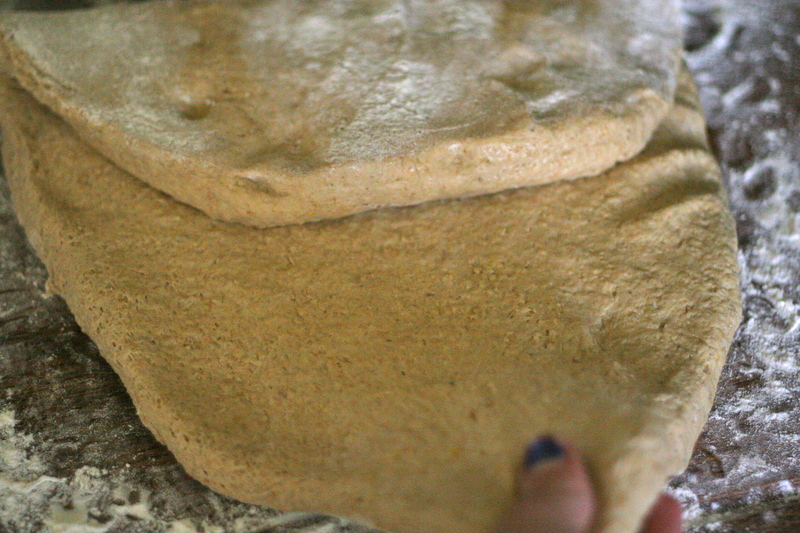 Now fold the dough in thirds into an envelope. Pull one side gently while folding the other side in and finally fold over the pulled side onto the top. It should really look like a paper ready to be mailed. Now you will roll the dough into a spiral from one short end to the other, pushing down slightly as you go to ensure no air pockets. Pinch closed the ends and then roll the dough slightly back and forth between your hands until the dough resembles the shape of your loaf pan. Butter or oil the loaf pan and then drop the loaf in. Preheat the oven to 400F degrees. Cover loosely with a towel or plastic wrap and let it rise until 1 1/2 times its size and just peeking over the top of the loaf pan an inch or so. Bake for 40 minutes in the center of the oven, turning 180 degrees halfway through cooking, until it is a medium brown color. If you knock on the top of the loaf and hear a thud, it is not done. Continue baking for another 5 minutes. If you hear a hollow sound, the bread is done. Remove from the pan and let cool on a rack for several hours. *Note: Unsulphured molasses is the first boiled molasses and considered more pure in flavor. However, blackstrap molasses, the third boil product actually contains an incredible amount of iron. If your family is vegetarian or just low on iron, consider this one because in the bread you really do not detect much of a difference between the two. More on this here. This entry was posted in Breads, Breakfast, Vegan, Whole Grains and tagged Homemade multigrain bread, multigrain bread, Recipe for multigrain bread, Vegan multigrain bread, Whole wheat, Whole wheat multigrain bread. Bookmark the permalink. Thanks Ellie. Honestly, I meant what I wrote. It is such an easy bread to make. 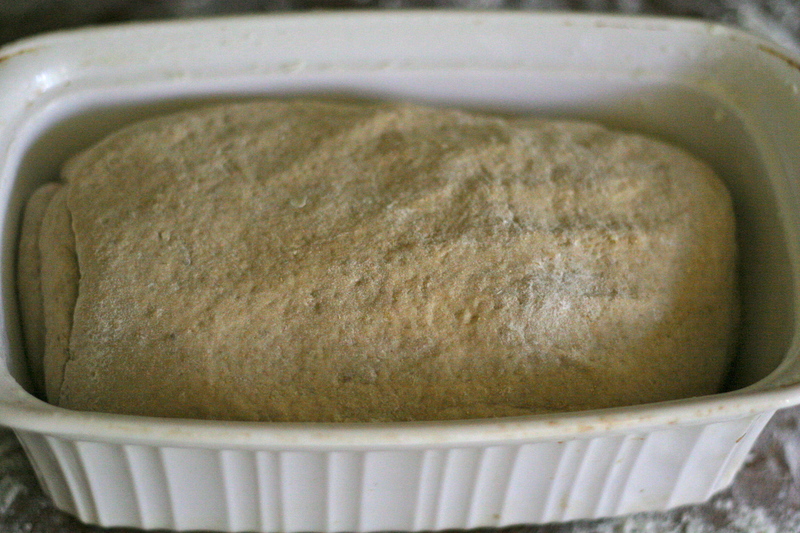 I am not sure who drummed up the idea that baking bread is hard, maybe medieval people since they had to do it over a fire and make their own wild yeast starter, in which case, I agree. Let me know how it goes with this one.